Hello. I am continuing on with my 4-day posting record with this lipstick/stain review. The weather has been really crappy the past couple of days (and we are expecting more rain as a super typhoon nears the Philippines) but I will not let that dampen my enthusiasm. Booyah! 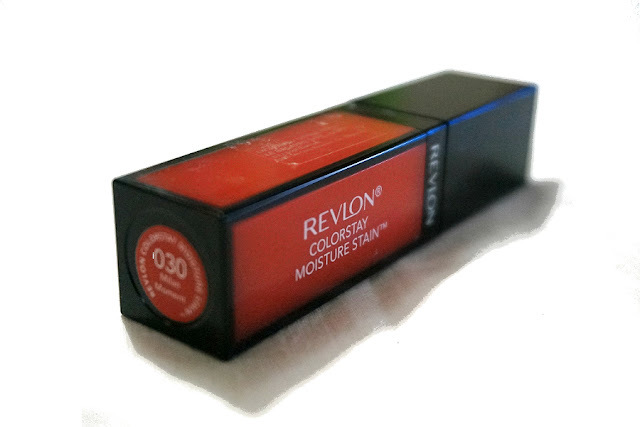 Milan Moment is part of Revlon's 12-shade Colorstay Moisture Stain collection. 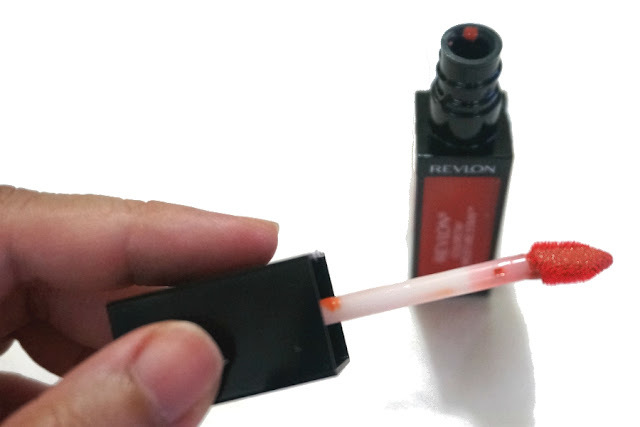 I have been seeing these lipstick-stain hybrid in Revlon stands since last year but I've passed them up because I don't really buy in-store unless they're deeply discounted. I know I can get them online for much less. The lipstick gods smiled upon me last weekend because these came on sale for almost 50% off so I picked up not one, (not two!) but three of them. 030 Milan Moment is a light-medium terracotta orange with strong yellow undertones. 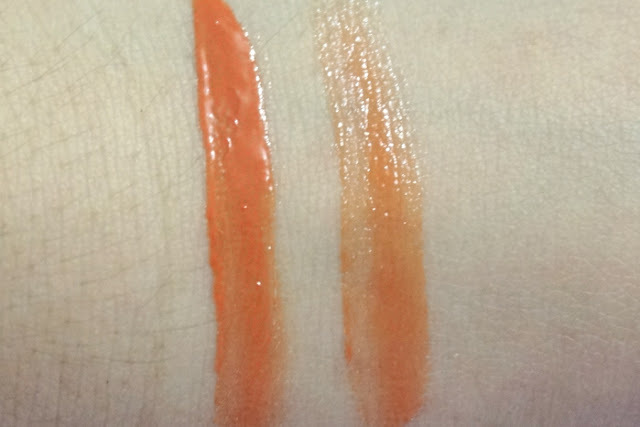 The color looks darker in the packaging than when swatched on my skin. 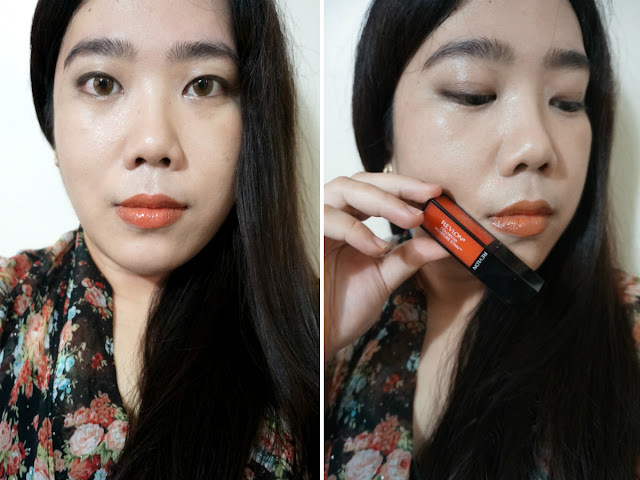 I was drawn to the shade because I feel that I don't have this particular shade of orange - earthy and deep, not too loud and neutral enough for everyday wear. The product is packaged in a clear (?) plactic acrylic with a black top. 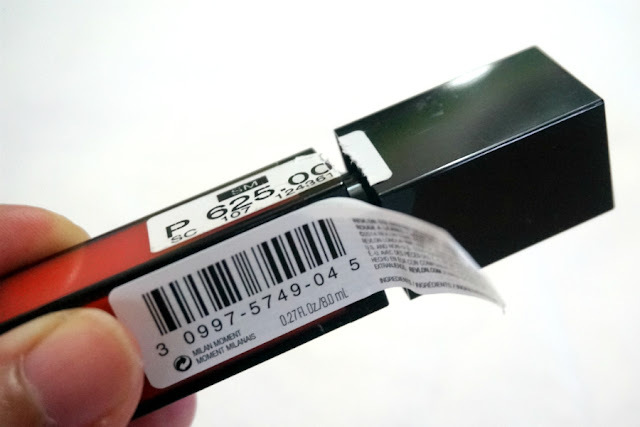 There was no seal but there a sticker that served as kind of a safety seal. To be honest, the unique and cute packaging was the main reason I bought more than one of these, otherwise I would have only bought one shade to try out the formula. Formula/Texture: Since this is a liquid product, I kind of expected this to have a lipgloss-y texture - tacky, sticky and thick. It's none of that. 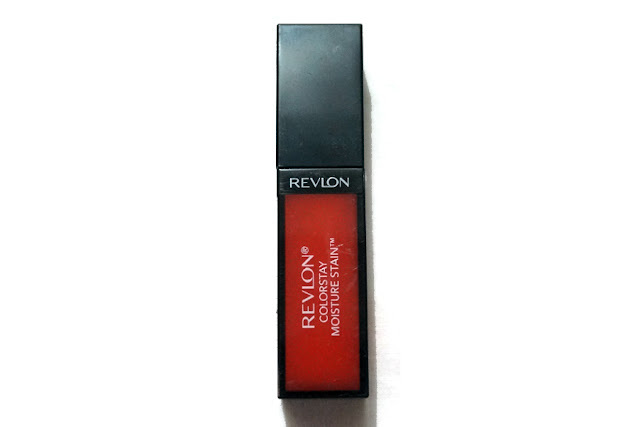 This feels really light and very comfortable on the lips. Upon application, this will have "cushiony" feel and will need a few moments to settle down and even out (much like a self-leveling nail polish). 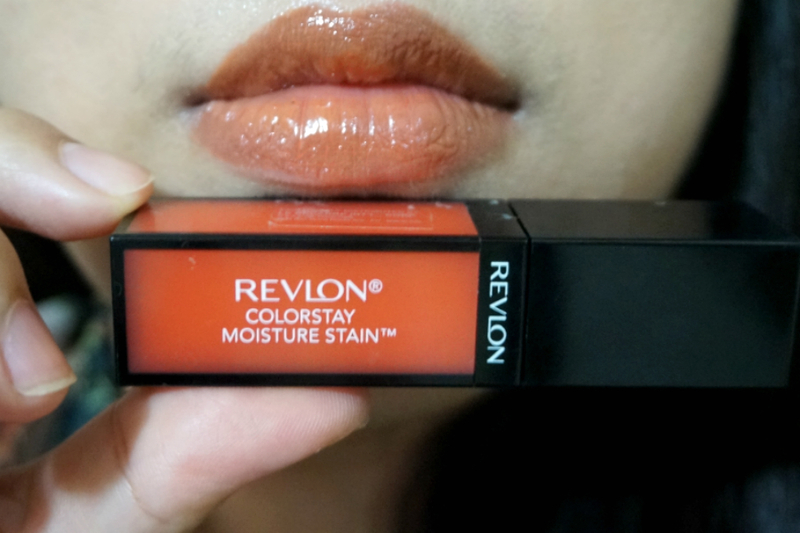 This did not dry out my lips but I don't feel that it adds any moisturization either. 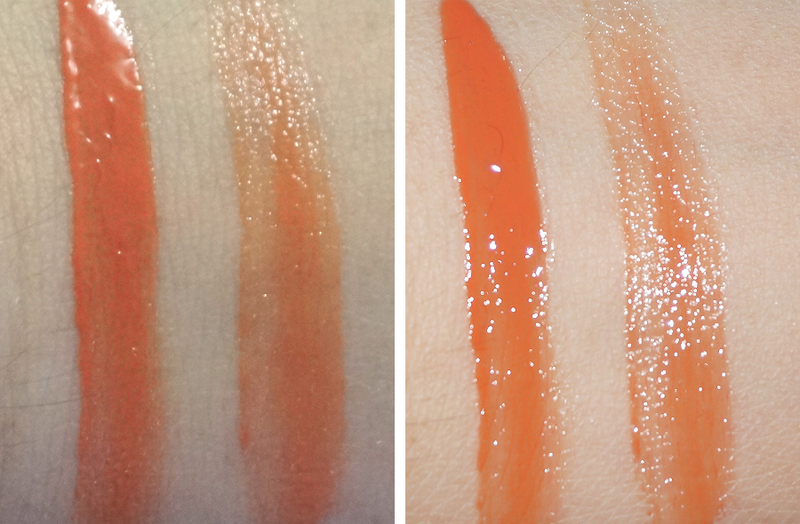 Pigmentation: The lighter shade definitely needs two coats to fully cover my lips. I have to apply some elbow grease to fully get the product on to my lips and avoid any patches. There was also some settling between the lines but it's not really noticeable unless you really look. Longevity: The formula requires a few minutes to settle/seep into the lips and deliver its full potential. 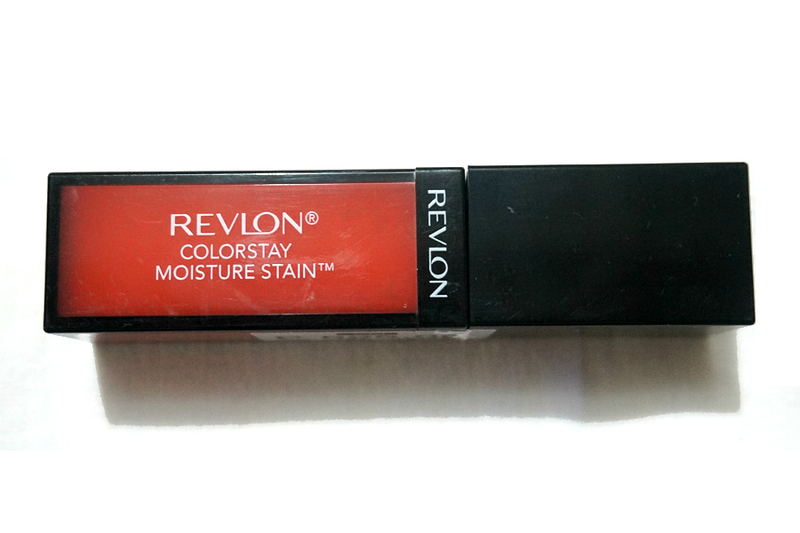 Since this is from the Colorstay line and labeled as a "stain" I expected above average staying power. It didn't really live up to my expectations. The sheen went away on hour two, after hour four I was left with a decent amount of product on my lips, on hour five all that was left was a hint of color. I am still undecided whether I like this new formula. 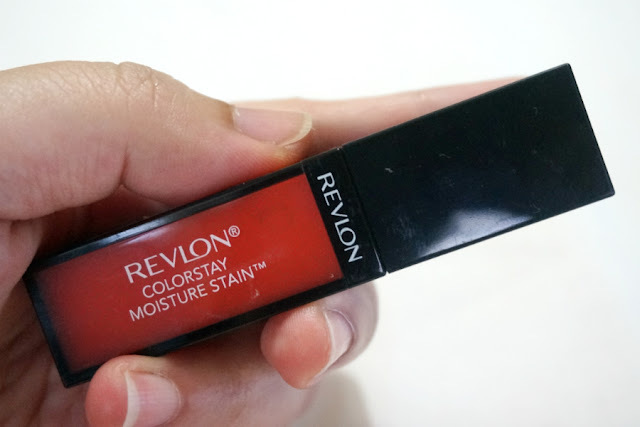 In lipstick world, a stain is synonymous to drying so for Revlon to stick that "moisture stain" label in the tube makes me very skeptical. I do like the feel of the lipstick on my lips to justify further testing and open the other two shades to try out.